Another eight months has passed, and I haven't written a post in all that time. I just now cleaned out my SPAM comments (and there were hundreds) and published those comments that were "legit". I've written, more than once, that the reason I quit posting here is because the crisis of my son's addiction has subsided. Of course, there are many people who feel that I'm a fool for thinking that my son being on suboxone is sobriety. They say it is NOT. This is how I view my son's current sobriety (or un-sobriety for you suboxone naysayers). Of course, I wish my son had an "organic" sobriety. I would love it if he didn't use any kind of medication to keep my son from using. That is simply common sense. However, let's look at things from my son's perspective. True that, he had a severe addiction. He was strung out and had sold everything he owned to avoid the misery of withdrawal. This was my son's "bottom" he says. He realized that, in his last relapse, that he had sold everything of value that he had. Fortunately, my son didn't have it in him to resort to theft or robbery (for that I am truly grateful) and he finally came to the realization that he absolutely had to conquer his body's craving for drugs. Methadone didn't work for him. So, he turned to suboxone. Lest you naysayers judge him and/or me, it is working for him. He is going on four years of working at the same job. He doesn't make a ton of money, but he has money. He bought a brand new X-Box, a new HDTV and he can afford to buy things he wants-- here and there. He doesn't ask us for money, either. All of the friends he was using with, are out of his life. He has a very small, but new circle of friends. They don't use, but they do drink--- no differently that I do. That is, we are social drinkers. The glass of wine with dinner, or a beer while watching a football game. Nothing to worry about. My son's brain has healed. He is no longer forgetful, or spaced out. He can focus his thoughts, and that brilliant mind of his is back. B has lived with us, ever since he detoxed with the help of suboxone. He pays us rent, faithfully, and never EVER complains about it. We are charging him the going rate it would cost him to rent a room-- or share a cheap apartment. We use the majority of that money to subsidize his medical expenses (health and car insurance, diabetes supplies, suboxone), groceries and cost of living-- and a small portion goes into a rent savings. Best of all, my son and I have the kind of relationship that any loving mom longs for. He is kind, respectful, thoughtful and willing to help me when I ask for it. The relationship between my son and his stepfather makes me smile with such gratitude and joy. I have watched the two of them interact as two men-- "dudes", "guys". I've watched my husband help my son to learn things that guys should know how to do-- like how to fix things in his own car. My son asks for advice from his stepdad. Best of all, my husband tells me that my son is a "good kid" and a "good room mate". So, if my son is doing so well-- is it such a bad thing that he uses suboxone? He's cut his dose down by 75%, and has to see a doctor once a month. He has to take a drug test, and always comes out clean. If he didn't, this doctor would no prescribe suboxone. Again, I keep praying for the day that my son gets off suboxone completely. B says, it's just around the corner. He was waiting for the slow season to come to his job (now). He needs to take a couple of weeks off work to detox from the suboxone. Of course, B and I talk about this, candidly. I've asked him what his plan is, once he is off the suboxone. That is, what will steps will he take to prevent him from relapsing? You would think he'd have some grandiose answer. He simply says, "that last relapse made me realize that I don't want to go back to that again." He says the withdrawals were horrific, and he never wants to experience that again. Just like religion, this is a question that has a myriad of answers. I've written, countless times, why I don't believe that NA meetings is the answer for everyone. I went to Nar-Anon meetings, and they did not work for me at all. I couldn't deal with the whining from the same group of people. I didn't find the meetings helpful. In our small town, my son says that NA meetings didn't work for him, because that's where he was most likely to reconnect with people he used with. He says that anytime he went to an NA meeting, someone would ask if they could hook him up with drugs. So, what prompted me to write today-- after such a long absence? Partly it's guilt. I still get an occasional email from someone who is asking me how I am doing... or someone who wants to thank me for sharing my story. Collectively, to "you", I want to say that I am doing just fine, thank you. To those of you who ask me for advice, it takes my breathe away. I wish I had some dazzling advice to give. What I've learned, during this painful chapter of my life, I have shared on this blog. I'm not an expert and never professed to be. I have become a much better mom, a much better listener and a whole lot less judgmental about other parents. I no longer assume that bad parenting is why kids use drugs. I have become much more compassionate to parents and drug addicts. My faith in God grew by leaps and bounds, during these painful chapters in my life. Not a day goes by that I don't thank God for sparing my son from death, incarceration or physical harm. 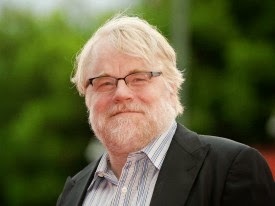 The tragic death of Philip Seymour Hoffman really affected me. That a man, who had so much talent-- and certainly financial security-- relapsed AFTER 23 YEARS of sobriety-- really shook me hard. It was a reality check, that my son has no personal guarantee that he will never use again. He knows it and I know it. My deepest sympathies go to his family and loved ones, including his small children. What a tragic death. Will we ever know why he relapsed? Will we ever know what it was that woke the demon of addiction in him? Once more, I am reminded that my son will have to fight the disease of addiction for the rest of his life. For today, I see a 25 year old young man, who tells me that his last relapse wasn't worth all that it cost him. 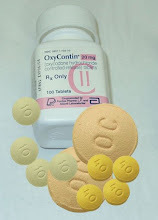 He tells me that he didn't even enjoy it, and didn't really get that "buzz" from using Oxy Contin that he used to get. I pray, with all of my heart and soul, that he will continue to hold on to that memory. As B's mom, I choose to forgive and forget what's happened in the past. Today, I can hand my son my credit card to pick some things up for me while he's in town. I don't have to hide my wallet, choosing to leave it in plain sight with money in it. The money is always right there, where I left it. My son no longer sneaks out, in the middle of the night. He is always home, playing on his X-Box, with his invisible online friends. In a perfect world, I would love to see him get a better paying job-- with benefits. I'd love to see him buy another set of golf clubs, and get outside for exercise and to play a sport that he is really good at. I continue to invite him to join us at church (the very church he urged us to come to with him, years ago). We continue to counsel him on the importance of financial wisdom-- like saving money (which, for now, falls on deaf ears). So, I guess my son has gone from a "using" drug addict to being a typical young man. He has so much wisdom to learn in life. My husband and I are doing the best that we can to be positive role models for him. I think some of our wisdom is beginning to stick. We will never give up hope. I feel comfort, gratitude and joy that my son loves me. I know he feels the same way about my love for him. For those of you who are suffering with addiction-- be it YOU who is the struggling addict, or for the loved ones who are dealing with a struggling addict-- I pray for you, collectively, all the time. I know there are plenty of people who think prayer is useless. Or that there is no God. I've had plenty of comments left, calling me a fool to believe in a God that doesn't exist. Well, that's one more prayer I add to my list... for non-believers. No matter what, my heart truly feels your pain and agony. I have lived it. I have cried. I have whined. I have been angry. I have failed. I have enabled. If any of my blog posts gives hope to anyone who reads them, then this blog is accomplishing it's purpose. I will try to post more often. I'm here, and I read every single comment. I truly do. If I don't respond back, please forgive me. Sometimes, I just can't deal with the emotions that they stir in me. May God bless you and give you comfort, whether you or not you do or don't believe in Him. He believes in you, and loves you. It is good to hear from you and it is good to hear that B is still doing well. I know the feeling about being able to give my son money or gifts and not worry about him using to for drugs. In fact he again has a key to our home and knows the code. I wouldn't expect anyone that has not lived our life to understand what that means. We all learn through this journey. I bought into the NA and NarAnon stuff about can't fix a chemical dependency with a chemical. THAT"S A CROCK OF..... If that is what someone needs to stay alive then who are we to judge. Old dogs can learn new tricks, but only when their minds are open. I wonder if those same people would judge a diabetic for using insulin? After all they have been on insulin for 4 years why can't we wean them down to nothing so they can just manage and tough it out? It's good to see you write. There are a lot of us from so long ago still wondering and that still care. Ron, you were one of my first contacts I made at the time I was in anguish over my son's addiction. Thank you for understanding. It's funny, that my son uses the insulin analogy, too, since he is a diabetic. I agree. It's working for him, and that is all that matter. The analogy I use, is some people have to resort to having their stomach staple, in order to lose weight. They've tried everything else. While others, have the discipline to eat healthier and commit to exercise. There is n perfect solution. Everyone is different. I really wish you and your son the very best. Your son's recovery is truly remarkable. Who cares what people think, it's working and that's all that matters. When my son is ready for help, should he need suboxone I will be on the phone finding a doctor who can help.I will never know the struggle and the pain of withdrawal. Anything is worth a try! Take care of you. Sounds good that things are going well. Thank you Debby. My son 23 is on suboxone and has been for over a year and just restarted college...........He wants to stop taking the Subs,but I don't want him to. I hear that coming off of them is just horrible and with him being in school again, well I just dont think its a good idea. he is down to 1/8th of a strip a day and some days doesn't take it till night. Im just a wreck. He hasn't been back to the doc in two months.....he hoards his Suboxone....or so he says. I sometimes think hes using percocet agian, but looks well and seems to be okay. I feel like I need to back off of him and stop nagging and accusing him of doing bad. he knows im here for him no matter what. Just don't know what to do or what to believe. Is it bad for me to just step back and see what happens? He did work all summer and is back in college. I read somewhere sometimes saying nothing is better than saying the wrong thing. what do you think? drug has become a problem in many countries in the world, rehabilitation is the right thing for the addict. I don't have any advise to give, or hopeful wisdom to share. I wish I did. I am mom of an addict who is also on suboxine and I am just trying to understand, trying to learn all I can and to find someone to talk to that understand what I am going through and what my son is going through. Through the good days and the bad days, the emotional roller coaster ride we are on. Someone who can understand all My doubts and fears that mainifest in my head, but at the same time, holding on with every fragment of my being to all the hopes and dreams I have for my son. Good to hear that B is doing so well! Hugs and prayers to you Debby! Hello. First, I'd like to say that this blog is beautiful. Read through the whole thing in the last week or so. That isn't to imply that your struggles are entertaining, or amusing, just that it really "speaks" to me. I am also impressed with your own progress, as well as with your son. Early on in the blog, you were a different person almost. You chould be proud that you've finally reached the point where you know that you MUST take care of YOU. Regardless of the son's addiction. People don't want to think their loved addicts will relapse, but it's important that you protect yourself if and when it does happen. 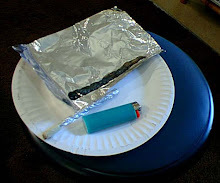 You can NEVER be too careful when it comes to drug abuse. Drug abuse isn't a child's game. It's reach is very far, and affects many people in many ways. Now you can REALLY help him. Without enabling him. Cheer him on, congratulate him, express pride, et al. Mentally and emotionally, the quality of care for your son has skyrocketed due to this one epiphany. 12 Step programs aren't REQUIRED to recover. There is no cure for addiction, period. It isn't like you just walk into a meeting somewhere and then you're magically clean when you walk out the door. No, the programs are TOOLS. TOOLS to help people. In order for ANY of those programs to have the slightest positive effect, one must be ready and willing to put the entirety of themselves into it. You get back only what you put it. Naturally, it wouldn't "work" otherwise. Now, not trying to start a debate with you about your own beliefs, only offering perspective from the other side of the fence. I wish you and your son the very best. The blog is inspiring. There are so many treatment plans for addictions. It has to see someone that you care about go through a hard time. But the end process is great. Happy for you. Sorry if it was in an earlier post but how old is B? My 35 year old son arrives this Friday to live with me and his step dad. He says he has reached his bottom-he lives 1500 miles away and has been addicted to Oxy for 6 years. He has been homeless for the last 2 bopping around from friends and relatives and has finally worn out has welcome. I stopped paying bills and sending money over a year ago. As you know, it's so awful to watch someone you love turn into this desperate person that you no longer know how to help. My son, E, has been in and out of rehab, jail, you name it-guess it's the same story. I heard the other day that you're only as happiest as your unhappiest child. Boy did that hit home. I have trouble enjoying things as I'm always wondering "Wonder what E is doing right now'. My sleep is often interrupted by nightmares of him in difficult situations. So....he has been off the junk for about 10 days, arriving in 2. He came here a year ago for a month and stayed clean while he was here and as soon as he got back home he was right back to it. I told him he can't come unless it's for at least a year-so we can try to get his life in order. What should I do when he gets here? I am not made of money but I have plenty of will and determination. I have looked into free treament-not much out there. Have a list of NA meetings. Have a basic plan regarding chores and such. Any help and suggestions would be appreciated. Thanks! Have you heard of ibogaine?